When running a business of any size it’s incredibly important to get your bookkeeping right. That said it seems to be the one thing that business owners dread the most. KEEP BUSINESS AND PERSONAL SEPARATE – keeping things separate will make everything a lot easier. Sifting through sometimes months later and trying to remember whether that £4.99 in Tesco was for paper for home or work is not fun. The easiest and quickest way to do this is to get yourself a business bank account with a debit card then use the debit card for everything. This helps as you can just look through your bank statements and see every business expense that you’ve incurred. It also helps in terms of lost receipts as in case of an investigation you ‘need to prove to a reasonable HMRC officer that you incurred the expense’ – so having the transaction on your bank account counts as proof. If you’re a Sole Trader you don’t have to use a designated business bank account but a limited company does. And if you can’t face a meeting at the bank then try one of the now very popular online banks such as https://www.tide.co/partners/bowes-brooks/ you simply take a photo of your passport, take a selfie on your phone and voila you have a bank account number and sort code – so no excuses! 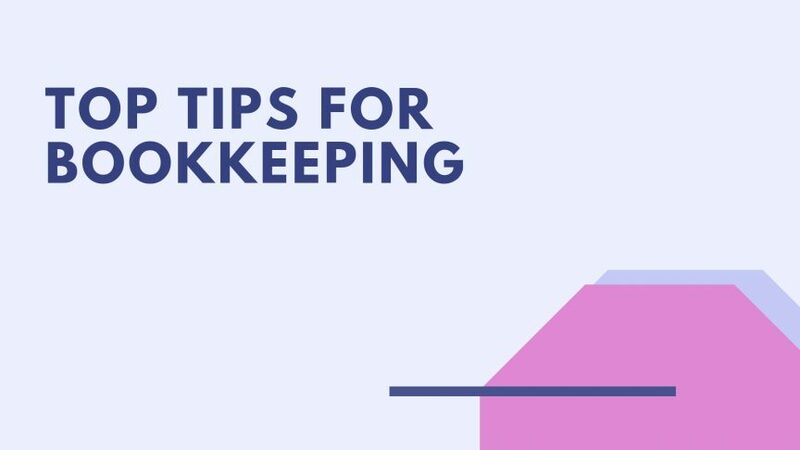 Bookkeeping can be overwhelming if not handled properly, but if you observe the best bookkeeping practices, you’ll find that this task doesn’t have to be that intimidating at all. Best of all when up to date and accurate you know what state your business is in and can make better decisions on a day to day basis.